Free Parts and Accessories Catalog For Your Harley-Davidson®! The Big Book celebrating J&P Cycles 40th Anniversary. Containing 30,000 parts and accessories for your 1985â€“2019 Harley-Davidson. 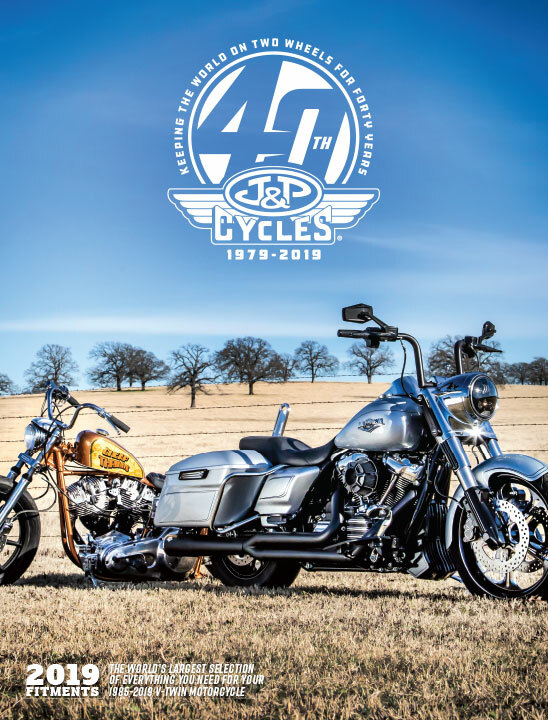 The book is filled with quality products from the world's leading manufacturers including Avon Tyres, Kuryakyn, Bikers Choice, Drag Specialties, Arlen Ness, S&S Cycle, and many more. Note: This request form is for customers in the United States and Canada only. Unfortunately at this time we do not currently mail catalogs outside of U.S. and Canada. We apologize for any inconvenience. For APO and FPO addresses, please enter APO or FPO in the city field, select one of the following codes in the state field: Military-AE, Military-AA, Military-AP, and United States or APO/FPO in the country field. I would like to receive emails with special offers and information from J&P Cycles.